Professor Seidmann is the author of over 100 research articles, which appear in many of the leading scientific journals, and has been the founding department editor on interdisciplinary management research and applications in Management Sciencefor 10 years. He is also an associate or area editor for IIE Transactions,the International Journal of Flexible ManufacturingSystems, Production Planning and Controls,the Journal of intelligent Manufacturing, the Journal of Management Information Systems and Production and Operations Management. 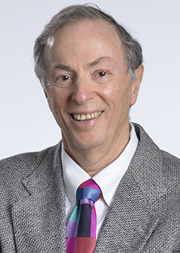 His current research and consulting activities include medical informatics, electronic commerce, online auctions, information systems, health care management, business process design, project management and optimal resource allocation, strategic manufacturing systems, information economics, stochastic processes and performance modeling for capacity planning and pricing. A Case Inquiry: Can RFID Help Reduce Costs in Medical Imaging?